Rogue Women Writers: Pandemic Flu, Crisis and and a new book announcement! Pandemic Flu, Crisis and and a new book announcement! The fifth in the Emma Caldridge series! 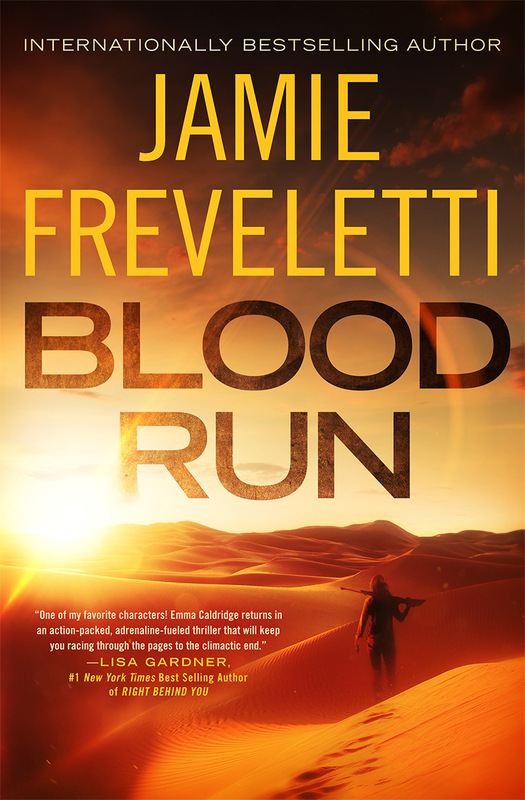 I'm excited to announce the launch of my latest thriller, Blood Run! It's the fifth in the Emma Caldridge series and set in the Sahara desert. Because Caldridge is a bio chemist, she usually deals with viruses, bacteria, or other deadly combinations of natural and not so natural biochemical weapons and their ability to create a crisis. And because we're discussing how a crisis can inform a story, I'll just say that since I began writing the Emma Caldridge series I've learned a ton about pandemics. We've had many pandemics over the centuries, the Black Death being the most famous in history. It killed an estimated 25 million and that toll may have been met or surpassed by a more recent and deadly virus in just the last century- the Spanish Flu of 1918. Estimates place the death rate for that virus at 20 to 50 million worldwide. The recent issue of Smithsonian Magazine gives an historical account of the Spanish Flu and how it was initially ignored and allowed to spread before officials finally realized that they had a massive pandemic on their hands. The article makes for fascinating reading and includes black and white photos that give an idea of the crisis. It ends with a sobering present day anecdote that reveals how easily our current public health officials can be lulled, just as they were in 1918. So crisis can often give authors ideas for thrillers that address issues and perhaps allow for creative ways to solve them. Some, like Jurassic Park, imagine what might happen and act as a warning to tread carefully when messing with nature. And some, like Blood Run, can imagine what might happen from a failure of inventory control when that inventory is highly dangerous. Fiction is not real, of course, but it does allow a way to work through an imagined crisis in a safe setting. And also can provide some great reading along the way! 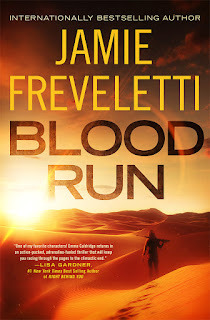 Can't wait to read BLOOD RUN -- what a terrific wake-up call for everyone to pay attention to the idea of a mistake or intentional distribution of a disease that could lead to a pandemic. I'm sure this thriller will be a hit - and that video is a winner! Good luck with this release. I am a sucker for a great pandemic/medical disaster book, and I love Emma Caldridge. You have a winner with this one. And it would be perfect for film. We could use another pandemic movie! On a personal note, I went to junior high and high school with Nancy Sullivan Writebol, the woman who was flown home from Liberia with Ebola and survived. Fascinating story. I had the chance to have coffee and donuts with her and a few classmates. She had us all in tears and in laughter telling us the saga of events. And, guess what, she got well and then she and David, her husband who I went to grade school thru 12 with, went back to Liberia. Best of luck with the launch!! Hi Gayle and Karna and Chris--THANK YOU! You have all been so supportive. And Chris--that story is amazing. She went back....now that's a courageous couple for you!